Generally, our body gets the energy from the sugar or glucose in the daily diet. Diabetes is generally caused when this sugar or glucose concentration increases in the blood. Diabetes is termed as Diabetes Mellitus in medical terminology which is categorized as metabolic diseases that was caused when the pancreas is unable to produce the enough of insulin (a hormone) to control the blood sugar levels or else when the insulin that was produced by the pancreas is not correctly responded by the cells in the body, as this insulin will facilitate the glucose movement from the blood to the muscles, liver and fat cells and thus prevents the diabetes and other health problems. Type – 1 diabetes, which is caused when then body is not able to generate the insulin and it has to dependent on the insulin that was injected from outside. This type – 1 diabetes can occur from teenage or particularly during the age of 40’s. Type – 2 diabetes, which is caused when the insulin is produced by the pancreas in adequate amount but the cells are unable to absorb the insulin properly and thus results in high level of blood sugar levels. Type – 3 diabetes is a gestational type which is caused generally in the pregnant women due to hormonal changes in the body without any previous diagnosis of the disease but resolves after the delivery without any problem. Do you know that diabetes if not treated on time then it will gradually affect the entire health system of almost each and every organ in the body that includes eyes, heart, kidneys and many more such as blood vessel damage, kidney diseases, infections, nerve damages, heart diseases, blindness, limb amputation, high blood pressure and coma. But don’t get worried about it, as you can easily manage the diabetes when once you get completely involved using these remedies as a habit. However the main problem is that you may or may not realize that you’re suffering from diabetes, so its always best to consult the doctor even if you observed any of these below mentioned symptoms immediately to get tests for confirmation and then for the treatment (if its positive in the tests). Sudden rise in blood sugar levels, gradual loss in weight, increased urination, feeling hungry most of the time, increased thirst, fatigue and irritation, blurred vision, slow healing of wounds and abrasions, presence of ketones in urine, tingling sensation or numbness, increase in blood pressure, body becomes susceptible to fungal and yeast infections, slow and steady healing of the wounds and abrasions, having few skin related problems like itching, dry skin and so on are some of the symptoms of diabetes. The below mentioned are natural home remedies for treating the diabetes. Try these natural home remedies at home regularly without any fail. Bitter gourd (or bitter melon) is one of the best and effective remedy for treating this diabetes in many Asian countries. There are many researches that found that the effectiveness of this bitter melon on blood sugar levels. This gourd belongs to momordica charantia fruits that repairs the damaged beta cells, increases the insulin levels and also enhances the insulin sensitivity. It influences the glucose metabolism to all over the body but not for a particular tissue or organ. This also increases the pancreatic insulin secretion and thus prevents the insulin resistance. Hence it is considered as a beneficial for both types 1 and 2 diabetes, but remember that it should not be used completely to replace the insulin treatment. This bitter gourd plant is very rich in plant insulin – polypeptide – P. this polypeptide – P has a bio – chemical that is very effective in reducing the blood sugar. It contains many more beneficial compounds that include bitter glycosides, alkaloids, phenolics, saponins, free acids, oils, polypeptides, sterols, P – insulin and 17 amino acids. Other than these, it has hypoglycemic activity and thus makes it as a fine blood purifier. Here are few ways that explains you how to use this bitter melon or bitter gourd for treating the diabetes. Take bitter gourds and peel it off with the help of a peeler. Then remove the seeds by cutting the gourd into pieces. Crush this peeled and deseeded bitter gourd pieces to make it paste. Now place this on the sieve and squeeze it to extract its juice. Drink this freshly extracted juice on an empty stomach in every morning and if you want, you can add some water in this bitter juice. Drink this on every morning to get complete relief from the diabetes. First of all, take bitter gourd and cut it into pieces. Then take a pan and add ghee or clarified butter to it. Now pour these bitter gourd pieces in it and cook it for few minutes. Have these pieces frequently to get control over the diabetes. Follow this process daily for at least 3 – 4 months to get complete relief from the diabetes. This method is especially useful for the people who didn’t find the fresh bitter gourd. Then try this bitter gourd tea. Take a pan and pour water in it and boil it for few minutes. Then add few dried pieces of bitter melon in it. Stir it well and then strain the tea by using a sieve. Drink this bitter gourd tea to get relief from the problem. Continue drinking this tea for once or twice a day on daily basis to have complete control over the diabetes. Make sure that this tea is less bitter than the fresh bitter guard juice. Or you can also intake at least one dish that made from this bitter melon in your daily diet. Fenugreek is considered as one of the effective remedy in lowering the blood sugar or glycated hemoglobin (HBAIC) levels very quickly in diabetic suffering people. There are some clinical trials are also conducted with Type – 2 diabetics has shown that this fenugreek will reduce the rate at which the sugar and carbohydrates are absorbed during the digestion process. This fenugreek also helps to stimulate the cells in pancreas gland and thus increases the insulin production. All these things will be done due to the presence of an amino acid known as 4 – hydroxyisoleucine. So use this fenugreek regularly to get complete relief from the diabetes. Here are few ways that explains on how to use this fenugreek to manage the diabetes. Take a bowl and place these fenugreek seeds in it. Then add water to it and soak it for overnight. In the next morning, crush the seeds and strain it to get the water. Drink this water in the morning to get relief from the diabetes. Daily intake of this fenugreek liquid for at least 2 months will definitely help you to get rid of the diabetes. Take a bowl and add fenugreek seeds in it. Then pour water in it and soak it for overnight. In the next morning, chew this soaked fenugreek seeds and drink this water along with these seeds. Make sure to take this on an empty stomach to get relief from the problem. Do this process on every morning with empty stomach for few months to relieve this diabetes completely. Take warm water or milk and add fenugreek seeds powder in it . Stir it well and drink this to get relief from the diabetes. Do this process daily to control the diabetes and also to cure it slowly. First of all, take fenugreek seeds in a small bowl. Then add turmeric powder and a little of white pepper in it. Stir it well and grind it to make it fine powder. Now add a teaspoon of this powder to milk. Mix well and have this to cure the diabetes. Repeat drinking the milk by mixing this mixture for twice a daily on daily basis till you controlled the diabetes. Take fenugreek seeds powder and add this in your flour. Then use this flour to make breads or chapattis. Continue doing this process regularly to control the diabetes. Indian gooseberry or amla is having the rich source of vitamin C and this helps the pancreas to produce sufficient amount to keep the blood glucose levels balanced. Just like fenugreek, this amla is also beneficial in lowering the blood sugar and thus has the same effect on the glycated hemoglobin (HBAIC) levels. So whenever you consume these gooseberries orally in any form, then it will reduce the sugar levels by stimulating the insulin’s production in not more than an hour. You can also use the amla seeds in powdered form then it will work slowly to reduce the glucose levels in the blood. Here are few ways that explains on how to use this amla in curing the diabetes. Take Indian gooseberries and cut it into pieces. Take out the seeds and discard it and place these seedless amla pieces on a mixture grinder. Then grind this to make fine paste and pour this paste on either a sieve or a fine cloth. Squeeze it to extract its juice from that paste. Now take 2 tablespoons of this amla juice and add this to water. Stir it well and have this on an empty stomach to get relief from the diabetes. Drink this on every morning on empty stomach to control the diabetes totally. Take amla juice and add this to bitter gourd juice. Stir it well and have this mixture to cure the diabetes. Do this process daily for few months to get rid of the diabetes. This process is especially useful when if fresh amla is not available to you then follow this powdered form. Take amla powder and add this to water. Stir it well and drink this water to control the diabetes. Regularize this process to relieve the diabetes. Take amla powder, turmeric powder and fenugreek seeds powder. Stir it well in water and drink this in the morning on an empty stomach. Follow this process daily on every morning to cure this diabetes problem. Or you can also include this amla in your daily diet and also have this raw amla to get control over the diabetes. The neem is well known for its antifungal, anti – hyperglycemic and anti-bacterial effects which makes these leaves more beneficial for treating the diabetes. Generally these leaves are bitter in taste but they are very effective in enhancing the insulin receptor sensitivity and also help to improve the blood circulation simply by dilating the blood vessels, lowering the blood glucose levels and thus decrease the diabetic suffering people’s dependence on the hypoglycemic drugs for treating their diabetes problem. Follow the below mentioned process regularly to get relief from the diabetes completely. First of all, take handful of fresh neem leaves. Crush these leaves properly and strain them to extract its juice. Then take 1 tablespoon of this neem juice and have this in the morning time with an empty stomach. Remember to take a tender shoots of this neem to use it for diabetes remedies. Continue taking this neem juice daily in the morning with an empty stomach for more effective results over this diabetes problem. Take tender neem leaves and wash it properly. Put it in your mouth and chew them well in the morning. Repeat the same process in every morning until you reduce your diabetes problem completely. Take water and add this dried neem leaves powder in it. Stir it well and have this in the morning (with or without an empty stomach). Have this neem water daily in the morning to get relief from the problem. Holy basil or tulsi is a well known medicinal herb for its number of health beneficial properties like antibacterial, anti – diabetic, anti – stress, anti – viral, anti – fungal, anti – tumor, antiasthemitic, antioxidant, gastric anti – ulcer, anti – mutagenic and immune-stimulant. Basil leaves are very effective in stimulating the blood glucose levels. Basil leaves by combining with its other beneficial compounds helps the beta cells of the pancreas to function in a correct manner and this in turn enhances the insulin secretion. So follow the below mentioned basil methods to get complete relief from the diabetes. Take fresh basil leaves and wash it properly. Place them in your mouth and chew it in the morning with an empty stomach. Continue doing this process daily in the morning time to not only to get control over diabetes but to get over all health benefits. Take few fresh basil leaves and crush them properly to extract 1 teaspoon of its juice. Then add this basil juice to either water or any fruit or vegetable juice. Stir it well and drink this in the morning with an empty stomach. Or you can also take this basil juice directly without mixing it in water or any juices. Do this process daily in the morning for few months to cure the diabetes. Take equal quantities of each of the basil leaves, neem leaves and Beal leaves (stone apple tree leaves). Crush all these leaves finely to get its paste form. Consume this paste in the morning with an empty stomach. For more effective and quick control over diabetes, have this in every morning with an empty stomach. Flaxseed has rich amount of essential omega – 3 fat alpha – linolenic acid (ALA), fiber, protein and plant compounds called lignans, as these lignans will function as anti-oxidants. There are many studies that conducted on flaxseeds has stated that it can stabilize the blood sugar levels. Flaxseed is high in fiber content which in turn helps for proper digestion and also proper absorption of fats and sugars in the body. However if you take these flaxseeds regularly then the postprandial sugar levels may drops up to 28% and makes you healthy and strong against the diabetes. Here are few ways that explains on how to use these flaxseeds to get relief from the problem. Take warm water or milk and add flaxseed powder in it. Stir it well and drink this with the breakfast. For more effective results, drink this daily along with the breakfast in the morning. Take flaxseed powder and add this to breakfast cereal. Stir it well and have this breakfast. Or you can also add flaxseed powder to the soups and the gravies and take this in your daily diet. Regular intake of this flaxseed mixed breakfast will help you to get control over the diabetes. Jamun (also known as jamun syzygium cumini, jambul, jambolan, jamblang, black plum or Indian blackberry) is a traditional medicine used by Ayurvedic, Unani and other Asian medicinal systems for the treatment of diabetes. It is rich in vitamin C, iron, phosphorus and calcium which help to strengthen the immune system. Jamun seeds are widely used to treat diabetes but the extracts of bark and the leaves are also beneficial for lowering the blood sugar levels and glycouria or sugar in the urine. Jamboline chemical is the main ingredient that has anti – diabetic function present in the jamun seeds. This main chemical alone is unable to act as the anti – diabetic cure but it is only effective whenever it is used with other inorganic or inactive substance in this seeds. Also remember that these seeds have rich amount of alkaloids which in turn has hypoglycemic effects. This hypoglycemic effect in the seeds will definitely help to reduce up to 30% of the blood sugar and thereby reduces the diabetic effect on the body. Follow these methods regularly to get cleared from the fluctuations of the blood glucose levels in the body. Take jamun powder and add this powder to the water. Mix it well and have this in the morning with an empty stomach. Continue drinking this jamun water daily in the morning on an empty stomach. Take few fresh jamun leaves and wash them thoroughly. Have these leaves and chew them completely. Also remember that this jamun is a seasonal fruits, so have them in raw daily (whenever it is available). Repeat the same process daily until you cleared the diabetes problem. Papaya leaves is another effective remedy that helps in increasing the insulin sensitivity. This reduces the enzyme levels of ALT and AST, the bio – makers of type – 2 diabetes and this will improve the insulin sensitivity so that the cells efficiently take the glucose. Other than this, these leaves decrease the chances of many complications that may follow with diabetes like fatty liver, oxidative stress and kidney damage. Even though if you’re suffering from diabetes, then also usage of this papaya leaf will help to heal the wounds more quickly due to its anti – bacterial and antioxidant properties. Many herbalists who belong to Japanese, Australian and from many other country herbalists’ uses this papaya leaves for curing the diabetes. Here is the recipe on how to make papaya leaves tea to treat diabetes. Take a pan and pour water in it and place this on the stove or heat. Then add papaya leaves to this water. Now boil this water for few minutes until it reduces to half of its quantity i.e. about 4 cups. Allow it to cool down for another few minutes. Have this papaya tea in small doses throughout the day. Daily intake of this tea will definitely help you to get complete relief from the diabetes. Remember that this tea has detoxifying property which is very good for overall health such as it helps in proper digestion and boosts the immunity as well. Okra or lady’s finger is another effective remedy for treating diabetes. It has high amount of vitamin A, B6, C and K, potassium, zinc, magnesium and other soluble fiber which makes this as an excellent blood sugar stabilizer and thus cures the diabetes. Its seeds has alpha – glucosidase inhibitors that effectively stops the starches that converting into glucose. This also has polyphenolic molecules which reduces the glucose levels in the blood and reduces the diabetes. Usage of this remedy in the form of okra seeds and peel powder has found that it has anti – diabetes and anti – hyperlipidemic properties and these will gives you a power of controlling the diabetes. Fibers in this okra help to regulate the rate at which the sugar is absorbed from the intestinal tract. Follow this process to use okra for treating this diabetes. First of all, take okra and wash them thoroughly. Then cut the head and tail of the okras and slit this vegetable vertically from middle to get two big pieces from an okra. Pour these pieces in water and cover it. Let it soak for overnight without disturbing it. In the next morning, drink this water on an empty stomach. Make sure that you can eat this lady’s fingers in raw form which are soaked from overnight, as eating raw vegetables are more beneficial than the cooked ones. Also its better to include this okra in your daily diet to get relief from the symptoms. Continue doing this process daily for a couple of months to get control over diabetes. Even though the mango fruit is not meant for treating this diabetes but its leaves (mostly the tender and delicate) plays a very important role in diabetic treatment, in which the Nigerian folk medicine uses this leaves widely for treating the diabetes. Hypoglycemic activity contains in the aqueous extract of the mango leaves which helps to reduce the intestinal absorption of the glucose and thus this in turn helps in lowering the sugar levels in the blood. Not only this, usage of these leaves will also help you in improving the blood lipid profiles. However, it would be more beneficial if you consume these mango leaves 60 minutes (or an Hour) before eating the food to get rid of the problem. Follow these ways to use these mango leaves for treating to get relief from the diabetes. Take mango leaves and wash it properly. Place these leaves in water and cover it. Then filter the water in the next morning and drink this water with an empty stomach. Make sure to have the breakfast after completing an hour. Do this process daily until you get complete relief from the problem. Take few mango leaves and dry them properly in shade. After it gets dried completely, then place these leaves in a blender or mixture grinder. Grind these leaves to get powder form and store this in an air tight container for further usage. Have 1/2 teaspoon of this mango leaves powder before taking lunch or dinner. Repeat the same process daily before taking your lunch and dinner until you get complete relief from the diabetes. Aloe vera is an extraordinary remedy for treating many skin and health related problems including this diabetes. Research has found that this aloe vera is very effective in lowering the blood glucose and blood lipid levels in the people who are suffering from diabetes and also heart problems. Aloe vera contains hypoglycemic activity which helps in treating both insulin – dependent diabetes mellitus and non – insulin dependent diabetes mellitus (rats). This gel helps in lowering the fasting blood sugar levels in the body and thus reduces the diabetes. Regular usage of this aloe vera gel along with the combination of turmeric and bay leaves will definitely help to get cure over diabetes. Take equal quantities of all these ingredients in a small bowl. Stir it well and have this mixture before taking your lunch or dinner. Follow the same process daily before taking the lunch or dinner until you get control over the diabetes. Take buttermilk and add freshly squeezed aloe vera gel in it. Stir it well and drink this to prevent the diabetes. Have this daily to get rid of the diabetes and also helps you to gain many other health benefits. Curry leaves are very rich in minerals like zinc, iron and copper which are very essential for maintain the normal glucose levels in the blood. All these minerals help to activate the beta cells of the pancreas which in turn is responsible for the insulin hormone’s production. These leaves also help in influencing the carbohydrates metabolism and they can easily restore the liver and kidney enzymes which are responsible for the breakdown of carbohydrates back to the normal levels and thus treat the diabetes thoroughly. We all know that people who are suffering from the diabetes are a risk of decreased levels of anti – oxidants due to the fact that its body cells may die at faster rate. But whenever you use this curry leaves then it will reduce the cell’s death in the pancreatic cells that are responsible for the insulin production. These leaves are very effective in reducing the blood sugar levels and thus helpful for the people those who got this diabetes due to their obesity. Make sure to use these leaves frequently, if this diabetes runs in the family and have these leaves to prevent the hereditary diabetes. 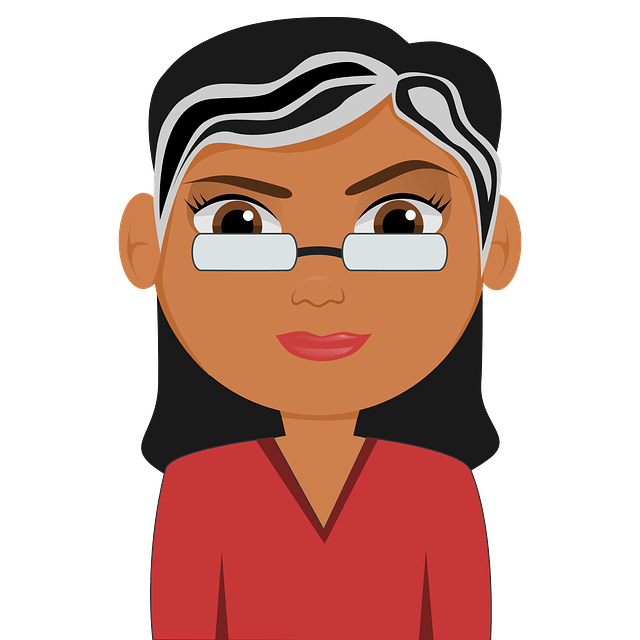 You can check out blogs to follow about diabetes that can help educate you more about this. For now, here are few ways to use curry leaves for treating diabetes. Take fresh curry leaves and wash them properly. Place these leaves in the mouth and chew them finely in the morning. The juice which goes down by chewing these leaves will help you to get cleared from the diabetes. Do this chewing process once daily in the morning to get diabetes relief. Take few fresh curry leaves and add this in your cooking. Add these leaves in the salads, dips, gravies, sauces and curries. Continue adding this leaves daily in your cooking to cure the diabetes. Even diet also plays an important role in treating the diabetes, as intake of food is the main base for these fluctuations in blood sugar levels and also for diabetes. So, a diabetes diet plan should always include the foods which are high in nutrients, moderate or low in calories, low in fat and less sugary foods. Hence follow this diet in your daily life to get control over the diabetes. Always use low fat dairy foods like cheese, yogurt, skimmed milk, etc. in your daily diet. Avoid using refined flour and use whole grains in the place of refined flour in the diet. So include whole wheat pasta, whole wheat breads and brown rice in the place of polished rice. Regularly include onion, bitter gourd, garlic, black plum, raw banana, spinach, etc. in your diet. It’s more important to avoid sweets and other sugary products in the diet and also reduce the intake of salt in the diet. You can take 1 part each of barley flour and black chickpea flour and 4 parts of whole wheat flour. Mix it well and use this flour to make pancakes and breads. Eat this regularly to get rid of the problem. Reduce or avoid taking high carbonated foods, colocasia, potatoes, sweet potatoes, yams, yogurt that is high in fat, spicy and other oily foods in your diet. You can make a healthy mix by mixing equal quantities (1/2 teaspoon) of ginger juice and garlic juice by adding a little of jiggery or honey to it. Stir it well and consume this for twice a day on daily basis. Include more of fiber rich foods in the daily diet to get easy digested and release of sugar and other carbohydrates into the body. This finally aims in reduced levels of blood glucose and diabetes. Not only sweets but you have to avoid taking sweet fruits such as grapes, pineapple, mangoes, etc. from your diet. Daily intake of juices that are made from the pumpkin, carrot and pomegranate will help you to get relief from the problem. Consuming the citrus fruits like pineapple, lime, oranges, grapefruit, etc. everyday will make you to get all the essential nutrients like vitamin C, fibers and natural sugar that in turn helps you to fight against the diabetic problem. Brussels sprouts are another beneficial food for the people who has diabetes, as they contains plenty of phytochemicals, cholesterol – free and low in sodium. So have this sprouts in your daily diet by simply having them as salads or in any other variety of dishes. Intake of beetroots daily is also an excellent way to treat the diabetes. These are rich in folate and vitamin C which are very essential for managing the blood sugar levels in the body. so include these either in juice form or raw or in cooked form in the diet to get blood purified and also to get relief from the diabetes. Diabetes, if not treated on time, so it’s important to have a strict look on the diet. Generally the main and most common reason for the development of type – 2 diabetes and other chronic and degenerative diseases is due to poor diet. Hence include all these foods in your daily diet to get relief from the diabetes either by stabilizing or lowering the blood sugar levels in an appropriate way. You can also follow this diet even though if you’re taking the medicine for diabetes but make sure to consult the doctor before having all these essential foods to manage the diabetes. Research has been conducted on the people who suffer from the Type – 2 diabetes has found that those who take 1 – 6 gms of cinnamon in everyday will effectively lowers the serum glucose, triglyceride, LDL cholesterol and other total cholesterol. Generally, people who have diabetes are naturally more prone to cardiovascular disease. If you take cinnamon regularly then it helps to reduce the risk of getting these cardiovascular problems. This cinnamon powder helps to lower the blood sugar levels by stimulating the insulin activity. Regular intake of this cinnamon is also very beneficial for the people whose who has diagnosed with pre – diabetes status, which means the people those who are having high fasting sugar levels in the blood and thus prevent the chances of getting this diabetes. The common form of cinnamon is Cassia cinnamon which has coumarin, a compound which is toxic and also causes damage to the liver and its functioning. So its better to take a rather expensive variety known as Ceylon cinnamon which is safe and effective for treating the diabetes. It would be sufficient to have 1/2 to 1 teaspoon of this cinnamon powder for treating the diabetes. Follow the below mentioned few ways to get control over the diabetes. Take a pan and pour water in it. Place this on the stove or heat and allow it to boil for few minutes. When once it reached the boiling point, then reduce the flame. Simmer it for about 20 – 30 minutes. Then add cinnamon powder to this water while it is on low flame. Leave it like that for another 20 – 30 minutes. Now strain the water with the help of a sieve or a strainer. Drink this cinnamon water to cure the diabetes. Continue the intake of this cinnamon water daily will definitely help you to get complete relief from the problem. Take warm water and add cinnamon powder to it. Mix it well and have this drink to fight against the diabetes. Regular intake of this warm cinnamon drink will cure the diabetes problem. Place this pan on the stove or heat. Then add cinnamon sticks to this water. Allow it to boil for few minutes and turn off the flame. Let it steep for about 20 – 25 minutes. Strain this water and drink this to get cure from the diabetes. Continue drink this cinnamon solution daily until you observed the improvement. Take some cinnamon powder and sprinkle this powder on the salads, dips and other dishes. Or you can also add this powder to the milk, coffee or tea and stir it well and have this drinks. Or else you can add this cinnamon powder to any warm beverages, smoothies and baked goods and have them in your daily diet to get control over the diabetes. Consume this cinnamon mixed foods and drinks daily to get complete control over the problem. Dark green leafy vegetables are very low in carbohydrates and calories and these has rich amount of vitamin C, magnesium, insoluble fiber and a lots of calcium which all these nutrients are very essential for treating the diabetes. even though they don’t have any impact on the blood sugar levels but many studies has proved that taking these leafy green veggies will help to lower the risk of getting Type – 2 diabetes. So it would be more beneficial to eat at least two serving of these dark green leafy veggies like kale, spinach, collard greens, chard, mustard greens and other leafy veggies daily in your diet to manage or prevent the diabetes completely. Sweet potatoes is generally a starchy vegetable that has anti – oxidant, beta – carotene, vitamin A and C, fiber and potassium which are very essential for lowering the blood sugar. So the people who are suffering from the diabetes can use these sweet potatoes in the place of normal potatoes for its lower glycemic index alternative and thus to get control over the diabetes. You can use these potatoes either grilled or baked but make sure that you have to cook them with its skin only, as most of the essential nutrients are present next to the skin in the potatoes. Try the sweet potatoes dishes like steamed, broiled or stewed as side dish or add this to the salads, casseroles, soups and other dishes in your daily diet to get relief from this diabetes problem. Fish is a rich source of omega – 3 fatty acids which in turn are very essential for treating the diabetes. So you have to eat these fishes on regular basis for at least twice a week which is good for overall health. Fish has good source of protein that makes it as a best substitute for meats (high fat meats). So regularize the intake of cold water fatty fishes like sardines, salmon, herrings, halibut, tuna and mackerel are considered as a best food for treating the diabetes. Hence you can eat the baked or grilled fish but its best to avoid breaded and deep fried varieties of these fishes, as they will increase the problem rather than reducing it. Or you can also take fish oil supplements if you don’t like to eat fish or if you’re vegetarian. Make sure to consult the doctor or healthcare provider before taking this fish oil supplements to know the extract time or dosage or discussing about the side effects of taking this supplement. Beans are considered as best dietary fiber source, rich in proteins, potassium and magnesium which are very essential minerals for treating the diabetes. But beans slow down the digestion process and also help to maintain the blood sugar levels after having the meals. Hence choose the beans from pinto, kidney, white, navy, Lima, soy, garbanzo or black beans by depending up on the beans which you like to eat most. So include these beans in your daily diet like cooking them as gravies or curries, adding these to the salads or soups or as a side dish to get benefited from these beans for treating the diabetes. Whole grain foods have many varieties of nutrients that include chromium, magnesium, folate and omega – 3 fatty acids which are very important to maintain the blood sugar levels and also to reduce the blood pressure and LDL (bad cholesterol). Other than this, whole grains also have powerful plant chemicals called as lignans and flavonoids that plays a vital role in controlling the diabetes and preventing the heart problems. If you want to add more of whole grains to the diet than before, then you have to simply switch from the white rice to brown rice, refined flour to whole wheat flour, etc. to get complete relief from the diabetes problem. Berries (of any kinds) contain anti – oxidants, fiber and vitamins which not only help to control over the blood sugar levels but also give protection against the cancer and the heart diseases. You have to choose these berries which you like most from strawberries, black berries, cranberries, raspberry, etc. so you can easily substitute these berries whenever you are having a urge (feeling) to eat something sweet in any of these ways like adding these fresh berries to the cereals or salads, use these berries to make low – sugar desserts, eating them dried as healthy snacks, etc. in your daily diet to manage the blood sugar levels and thereby diabetes. Yogurt is another effective anti – diabetic food that has rich amount of proteins, calcium and vitamin D. Many studies has found that the people whose who eat more of calcium – rich foods will lose the weight very easily and also makes the body less likely to become insulin resistant. Make sure to use only low – fat plain yogurt and eat this as it is or add this yogurt to fresh fruits. Also include low fat milk in the daily diet to get control over the blood sugar levels and thereby from diabetes. Nuts contain vitamins, fiber, healthy fats and a lot of minerals like magnesium and vitamin E which helps to stabilize the blood sugar levels in the body very effectively. These nuts help to reduce the insulin resistance and also fight against the heart problems. So eating nuts like almonds, walnuts, pecans, peanuts, cashew nuts, etc. on regular basis is a best alternative for the people who have diabetes or those who want to prevent Type – 2 diabetes, as this will help you to controlling the blood sugar levels. The best way to use these nuts is to soak them in water for overnight without disturbing it. This soaking process helps to neutralize the enzyme inhibitors and in the next morning, remove all the water from the nuts and have these nuts regularly to get control over diabetes and other health problems. Olive oil is another effective anti – diabetes remedy which is fully loaded with anti – oxidants and monounsaturated fats that help to reduce the risk of getting heart diseases and also helps you to keep the blood sugar steadily and thus reduces the insulin resistance. As overweight also causes diabetes and regular usage of this olive oil helps a lot in reducing the weight for those who are overweight and thus gives control over diabetes. The most important thing is that you have to choose the extra virgin olive oil why because it is minimally processed and has more than 30 anti – oxidants and anti – inflammatory properties. So simply use this extra virgin olive oil as a dressing in your salads or else you use this oil to sauté veggies to get rid of the diabetes. Onions are very essential household products that are generally used in cooking all the vegetables, soups, salads and many other dishes. It has chromium which are very effectively uses the insulin in the body and other than this, it also encloses many beneficial compounds in it that makes this as an ideal for diabetic patients. So include this onions in your daily diet as much as possible to get control over diabetes. Just like onions, tomatoes are also a common vegetable which is used in your daily diet. This also has great therapeutic value which makes this as a great food for the diabetic patients. These tomatoes has rich amount of iron, vitamin C and E, fiber, etc. that helps to stabilize the blood sugar levels and regular intake of these tomatoes in any form will help to maintain proper blood sugar levels without any fluctuation in it. Generally the people who has diabetes think that they should avoid eating the fruits, as they are sweet in nature. But it is a wrong thought and there are many fruits which are very effective in managing the blood sugar levels. The below mentioned fruits all are packed with essential minerals, vitamins, antioxidants and phyto-nutrients. However, here the fruits are explained with its glycemic index and suggested amount per day in which these plays an important role on how these different fruits affect the blood sugar and insulin levels in the body. Actually the foods with a glycemic index score of 55 or below is termed as low glycemic index foods and those who are at 70 or above are termed as high glycemic index foods. But make sure that you have to eat all these anti – diabetic fruits in moderation to manage the blood sugar levels and to satisfy the sweet tooth. Otherwise, the diabetic problem will not be cured and also have a chance to get increased to a certain level. An apple a day keeps the doctor away is a famous saying which is correct for the people who are having this diabetes. This juicy, crunchy and sweet apple protects you against the diabetes with a glycemic index that ranges from 30 to 50. Apple is rich in soluble fiber, anti – oxidants and vitamin C and this also contains a compound called pectin which helps to detoxify the body and thus removes all the harmful waste products and lowers the insulin requirement of diabetes to 35%. Remember that eating apple daily will also help you to prevent you from many heart problems like heart attacks, reduces the risk of getting cancer, ward off the eye diseases, etc. which are very most common problems in the people who are suffering with this diabetes. Suggested daily quantity – 1 apple (small to medium sized). Guava has rich source of lycopene which contains high amount of dietary fiber and good amount of potassium and vitamin C which helps to maintain the proper blood sugar levels in the body. But remember that it is not advisable to eat the skin of this fruit. So peel it off first and then have this fruit and also make sure that too much consumption of this guava is these days is also not recommended, as it may raise in any other health problems. So try this guava leaf tea to prevent it from diabetes, especially for the people who are at a risk of developing the diabetes. Take few dried guava leaves and crush them properly. Make sure that the crushed leaves should be not less than 1 tablespoon of quantity. Then take a pan and pour water and a tablespoon of crushed guava leaves in it. Now let it steep for about 5 – 7minutes. Strain the tea and drink this tea to get slow relief over diabetes. Continue drinking this tea once daily to get complete control over diabetes. Suggested daily quantity – 1 whole or sliced guava without a peel (OR) drink 1 small glass of guava juice. Oranges are always considered as a healthy fruits in which it has to be included in the daily diet for diabetic suffering people. These oranges contain high amount of vitamin C, fiber and other minerals such as thiamin and they don’t have high amount of natural sugars that effectively manages the blood sugar levels which in turn makes you to include this fruit in your daily diet. Plus oranges has low glycemic index that ranges from 31 to 51 which in turn helps a lot in slowing down the release of glucose into the body. Infact regular intake of all the oranges will also helps to reduce the weight (a risk factor for getting diabetes). Here also you have to remember that drinking orange juice will not provide the same benefit as eating the whole fruit, as drinking juice will definitely lacks all the fiber content. Suggested daily quantity – 1 or 2 small orange. Cherries has anti – oxidants, vitamin C, magnesium, beta – carotene, iron, folate and fiber which helps to control the blood sugar levels. Apart from these, it has anthocyanins which are very well known to lower the blood sugar by increasing the insulin production by up to 50%. It is one of the fruit with a low glycemic index of 22. Daily intake of these cherries will not only manages the blood sugar levels but also helps you to fight against the heart problems, cancer and many other diseases which are more prone among the diabetic people. Suggested daily quantity – 1/2 cup of cherries (fresh, frozen, canned or dried). Even though all the berries are very effective for treating the diabetes but strawberries are somewhat more effective than other berries. Strawberries are fully packed with anti – oxidants, fiber and vitamins that help a lot in controlling the blood sugar levels. The anti – oxidants in these strawberries will also help to lower the risk of heart problems by reducing the LDL (bad cholesterol), maintains or raises the HDL (good cholesterol) and thus effectively lowers the blood pressure. Other than these, strawberries generally are low in carbohydrates and also have a very low glycemic index at 40. So this makes you to feel full for a longer time whenever you ate these berries. Finally these berries (including all berries) will help you to keep the blood sugar leaves steady and increases the energy levels in you. Hence add the fresh berries to the cereals or salads (or) else eat them plainly as healthy snacks (or) simply use them in the preparation of low sugar desserts in your daily diet. Suggested daily quantity – 3 quarters of a cup of strawberries. Grapefruit is considered as a super fruit for treating diabetes from American Diabetes Association due to its high amount of soluble fiber, vitamin C and it is also has low glycemic index at 25. Apart from these, this grapefruit has flavonoids known as naringenin which is very effective to increase the body’s sensitivity to insulin. This also helps to maintain healthy weight which is a one of the main cause for controlling the diabetes. It’s always best to eat the fruit rather than drinking its juice, as this will provide all the essential benefits that are related to treating the diabetes. Suggested daily quantity – 1/2 or 1 large grapefruit (approximately 3 quarters of a cup) will help to manage the blood sugar levels and then diabetes. Pears contains vitamins A, B1, B2, C and E along with good amount of fiber which not only helps to regulate the blood sugar levels but also helps to lower the cholesterol levels, boost up the immunity and improves the digestive system. Infact, these pears are very low in calories and carbohydrates with a low glycemic index that has a rating of about 38. Eating these pears is especially beneficial for the people those who are suffering with type – 2 diabetes and thus improves the insulin sensitivity. So include these pears in your desserts or any sweet snacks. Suggested daily quantity – 1 small or medium sized pear. Avocadoes are rich in dietary fiber and have healthy monounsaturated fat content which helps for steady blood sugar levels. Monounsaturated fats helps to improve the health of the heart, as we all know that diabetic patients are at more risk of getting the heart diseases and strokes. This avocado also has high amount of potassium which is very essential mineral for preventing the diabetic problem. So include these avocadoes in your daily diet either by adding these avocadoes in the sandwiches or salads, or else you can make a salad dressing by pureeing the avocado with a small amount of lemon juice, olive oil and garlic in it. Suggested daily quantity – 1 medium sized avocado to fight against the diabetes. Studies has found a positive correlation between the consumption of kiwi and leveling or lowering the blood sugar levels. This is due to the presence of vitamin A, C and E, flavonoids, potassium and has rich amount of beta – carotene which are used to protect us from free radicals and thus improves overall health. Apart from all these, kiwi has high amount of fiber and low amounts of carbohydrates that aids in controlling the blood sugar levels and this in turn lowers the cholesterol and diabetic levels. So include this low glycemic index fruit that ranges from 47 to 58 in your daily diet by taking this as a healthy snack. Diabetes is a serious health problem. Do follow all these tips and makes it as a regular habit to get complete control over the diabetes. Regularly monitoring the blood sugar levels will help you to know when to consult doctor or how it fluctuating. Daily follow eating some healthy planed food and also exercise in a particular time. Vitamin D is very essential for the body to produce insulin. So its better to expose yourself to sunlight for few minutes will help to get sufficient amount of vitamin D into the body and thus get control over the diabetes. Keep the blood pressure and cholesterol levels under control by exercising regularly. Diabetes may be more prone to gum infections so its better to have brush or floss for twice a day and always get checked with the dentist with regular dental exams. Smoking raises the risk of getting various diabetes complications like cardiovascular diseases. So quit smoking or using any other types of tobacco products. Intake of alcohol will also cause either high or low blood sugar which depends on the foods you eat or drink. So stop drinking this alcohol or consume this in moderation to get rid of the diabetes. Stress is another important factor for causing this diabetes by preventing the insulin to work properly and this in turn raises the blood sugar levels and stress to even more levels. So always set the targets or limits up to your capability. Also try to learn some relaxation techniques and have plenty of sleep regularly. Make sure to consult the doctor immediately whenever you have fluctuation in the blood sugar levels. Have insulin regularly without any fail if you already using this as a treatment for diabetes. Try some natural home remedies to lose weight. As overweight is also one of the cause for diabetes. All these remedies and tips are very effective in controlling the diabetes. So follow them regularly for more quick result over diabetes. 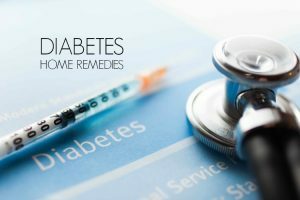 This is all about Home Remedies for Diabetes. hope you’ll try these remedies, include those fruits or foods in your daily diet to get relief from the diabetes. Don’t forget to share your experience with us after trying these remedies for treating the problem. None of this will help repair beta cells. None of this is a replacement for Insulin. Saying any of this will cure Diabetes is irresponsible. I am the parent of a type 1 Diabetic. Your advice is ignorant at best and at the worst is negligent and harmful medical advice. You should take this entire article down before you cause someone harm. OH MY GOD? Are you seriouse? You are putting peoples life at risk writing these lies! It is nice to see that you recommend taking insulin regularly if that is how you control your diabetes. Because in the case of type 1 this is the only treatment for diabetes. As to the rest it is utter b*******! If an apple reduced my insulin requirement to 35% I would due from a hypo every time I had one. If you are diabetic you should eat healthily regardless of if you are t1 or t2. Really you should eat healthy regardless. If you want to include some of these in that diet then great but don’t expect them to ‘cure’ diabetes.. This website makes me angry. idiotic advice. None of this is remotely true and if people are stupid enough to follow this you are risking their lives. You’re going to murder people with all of this incorrect information. Please do proper informed research before people start suing you and you end up in prison. I am not sure if I suffer from diabetes but I do have tingling in my legs, from my toes to my knees. I have a doctor’s appointment soon and I will get more information then. I do appreciate your information and I will definitely begin to practice these habits immediately so I can avoid all the drugs that my doctor may prescribe. Thanks.